It's confusing not only for customers, but it makes it harder for employees as well. When you tell a customer that if they get certain phones their plan needs to be a minimum of $30.00(Tab M) but then they see that plan and its like "No sorry, that plan isn't included". Folks identify their plan by the dollar amount, rather than its name. 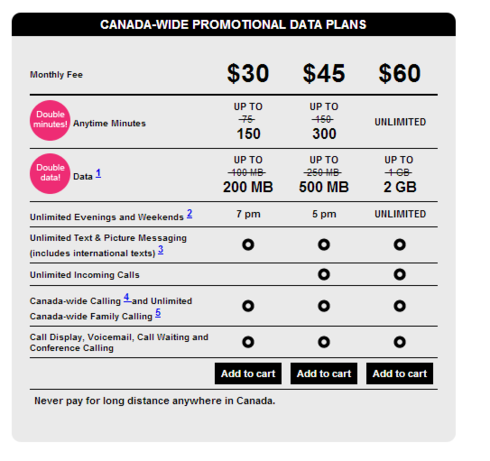 I'd suggest it being the "less that $30 plan" at $29.95. For one dollar difference? Really? Exactly. The worst thing is to tell a customer one thing then have to go back. It leaves a bad taste in the mouths of customers. If anything it complicates things for both employees and customers. Isn't the big star enough of an advertisement?